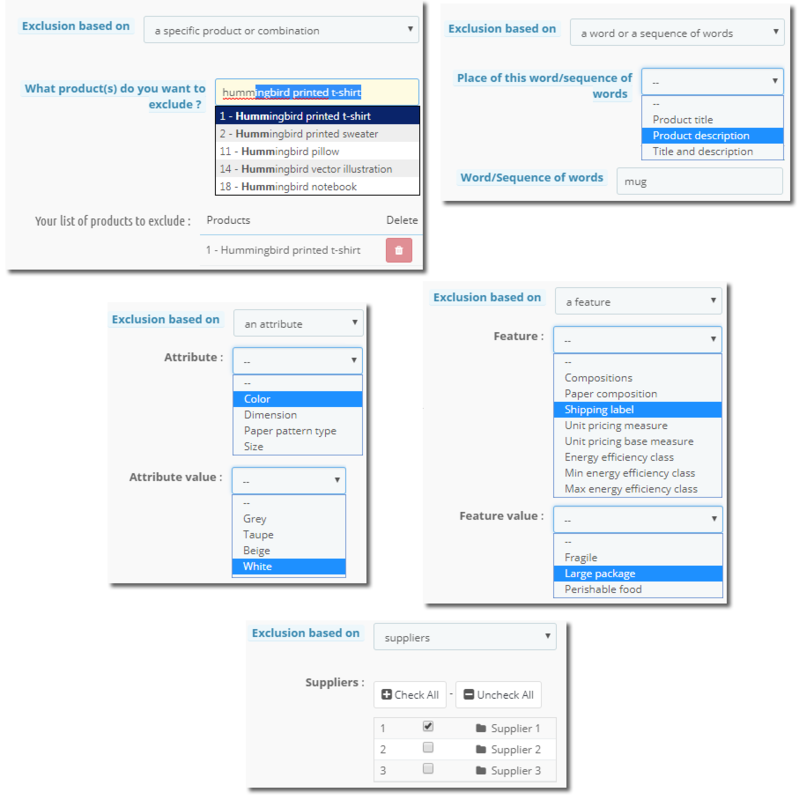 Be careful: after creating your cutom rules, if you want to modify the value of the "About products with combinations" option of the previous "Feed data options" tab, please note that you will have to delete all the created rules and redo them. Indeed, the management of the exclusions is done differently depending on whether you have chosen to export by combination or not. 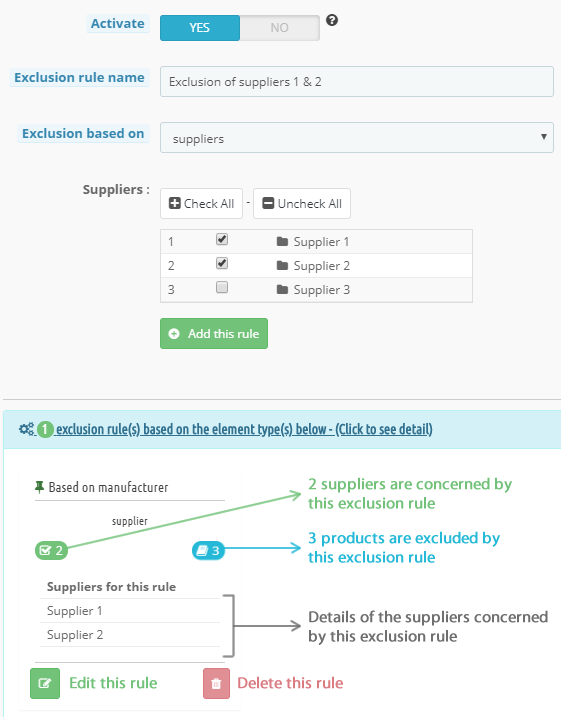 Click on the "Add exclusion rule" green button. 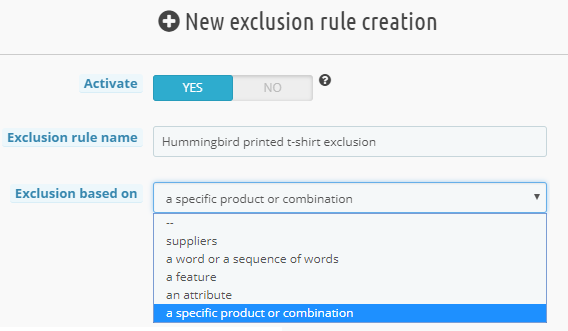 In the example below, the exclusion is based on a specific product: the hummingbird printed t-shirt. Click on the "Add this rule" green button. 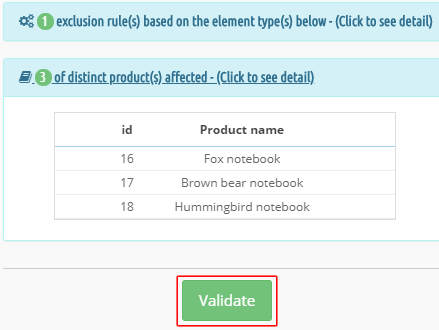 Click on the first blue line to see the "card" summarizing the type of exclusion (on which the rule is based), the number of items concerned (if you make an exclusion rule based on suppliers) and the number of products excluded by this rule. Click again on the blue line to close the section. Finally, click on the "Validate" green button. Do the same for all your exclusion rules.